For some forty years, city streets have been home to the modern graffiti movement, and now there is a fresh creative twist. Walls, phone booths, curbs, traffic signs—in cities around the world public surfaces are adorned with hand-painted or hand-crafted posters and stickers. Claudia Walde, aka Mad C and herself a graffiti artist, traveled the globe from Philadelphia to Prague, Barcelona to Berlin, to meet the great names in street art and to find the creative custodians of the new sticker cities. 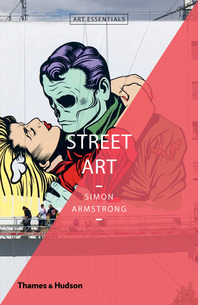 More than eighty artists are represented, with images chosen from over 7,000 examples. Mad C first covers the scene’s history, including Shepard Fairey’s Obey Giant propaganda campaign, Blek le Rat’s stencil graffiti, and Revs’s sensational sticker flood in New York City in the 1990s. Her documentation of the contemporary scene includes fascinating insights into the techniques used by today’s artists: Swoon and her amazing cut-outs, Invader’s ceramic mosaics, and Above’s wooden arrows. 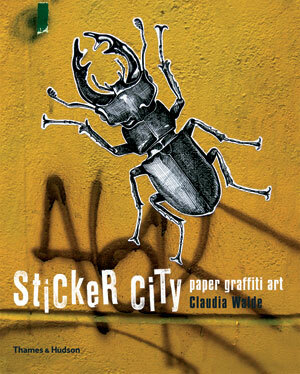 Claudia Walde, also known as MadC, is a graffiti and street artist. Her previous books are Sticker City and Mural XXL.